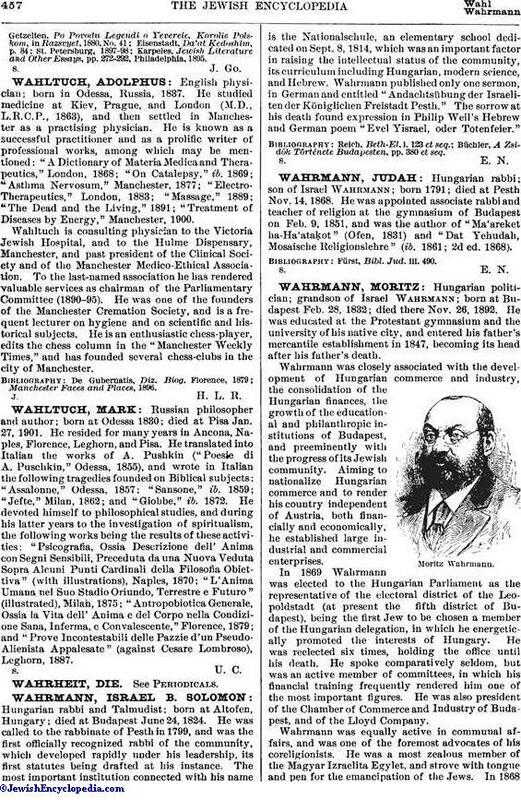 Hungarian rabbi; son of Israel Wahrmann; born 1791; died at Pesth Nov. 14, 1868. He was appointed associate rabbi and teacher of religion at the gymnasium of Budapest on Feb. 9, 1851, and was the author of "Ma'areket ha-Ha'ataḳot" (Ofen, 1831) and "Dat Yehudah, Mosaische Religionslehre" (ib. 1861; 2d ed. 1868). Fürst, Bibl. Jud. iii. 490.